I now have migrated my development efforts to TrailRunner 3.6 — there is not much changed yet but I require the switch to a Mac OX X 10.6 only build to gradually introduce code I developed for TrailRunner mini. 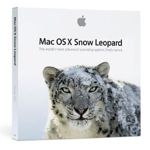 And as Max OS 10.7 Lion is around the corner, you probably have done the upgrade to 10.6 anyway. As I described before, it is my long term goal to make TrailRunner mini more or less feature complete, migrate as much as possible into TrailRunner 3.6 and eventually start working on TrailRunner 4. That all is still distant but things will happen step by step. And as I am writing this, thanks everyone for your continued support and trust. TrailRunner 3.3 builds will not automatically update into TrailRunner 3.6 as I cannot determine Mac OS X version you are running and for OS X 10.5 the updated version would not run. Therefore please manually update to TrailRunner 3.6 or wait until your version times out and you are forced anyway to do something. You can download the latest build here: Download TrailRunner 3.6 for Mac OS X 10.6 and above. Distribution of the Application is only permitted as a link to the website trailrunnerx.com or with the explicit written permission by the author.